Film focuses on Japanese traditional performing arts in WWII camps. 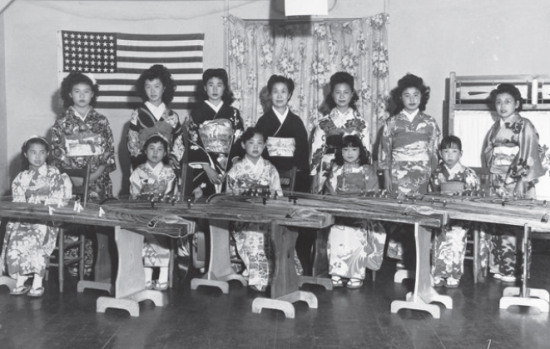 “Hidden Legacy: Japanese Traditional Performing Arts in the WWII Internment Camps” will be screened on Friday, Jan. 22, from 7 to 9 p.m. at UCLA’s Jan Popper Theater, Schoenberg Music Building. Co-sponsored by Center for World Music of the Department of Ethnomusicology, UCLA Herb Alpert School of Music; UCLA Terasaki Center for Japanese Studies; Tadashi Yanai Initiative; and UCLA Department of Asian American Studies. Using historical footage and interviews from artists who were incarcerated in 10 of the American concentration camps, “Hidden Legacy” tells the story of how traditional Japanese cultural arts survived at a time when the War Relocation Authority (WRA) emphasized the importance of assimilation and Americanization. This film is the first major presentation on the existence of traditional music, dance and drama in the camps. It is possible only because Shirley Kazuyo Muramoto-Wong has been researching and collecting information for over 20 years. She has collected oral and visual interviews, as well as private photos and artifacts from the internees and relatives of internees, and the incredible artists who made instruments, costumes, and the props needed for a full performance from scraps of wood, toothbrush handles, gunny sacks, paint, and whatever they could scrape up. 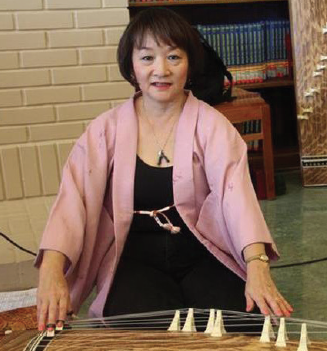 Her own family’s history with the camps led her to become a kotoist and teacher of the koto. Very little is known of the existence of traditional Japanese performance arts in the camps. The artists were “social activists” in their own quiet way, continuing the music and dance they loved, helping others to learn and enjoy these arts, and to help draw their attention away from their surroundings, giving them pride and self-esteem. 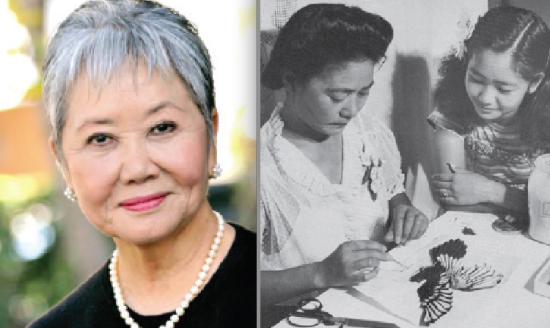 Their resiliency kept Japanese cultural arts alive in camp, and enabled them to survive in the Japanese American community to the present day. Those interviewed practiced the arts of music (koto, nagauta shamisen, shakuhachi, shigin, biwa), dance (buyo, Obon) and drama (kabuki), and were incarcerated at Tule Lake, Manzanar, Amache/Granada (Colorado), Rohwer (Arkansas), Gila River (Arizona), and Topaz (Utah). Also interviewed in the film is Professor Minako Waseda of Geijutsu Daigaku University of Music and Arts in Tokyo, whose research thesis at UC Santa Barbara, “Extraordinary Circumstances, Exceptional Practices: Music in Japanese American Concentration Camps,” formed some of the basis for the research in this film. 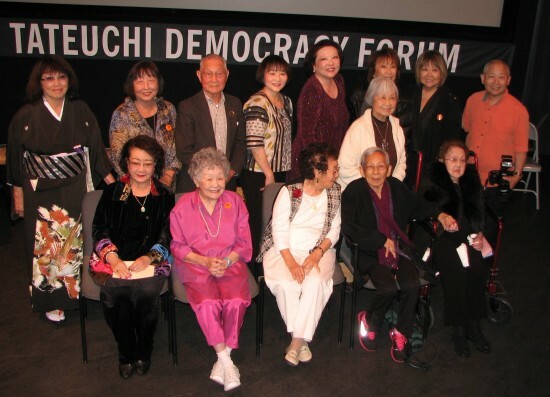 Since its release in June 2014, “Hidden Legacy” has been shown at colleges and community events held in California and Oregon, including at UC Berkeley, Oregon Nikkei Endowment, Japanese American National Museum in Los Angeles, and Japanese American Museum of San Jose. This past summer, Muramoto-Wong was invited to show the film at six universities in Japan, including Waseda, Sophia, Tokyo Geijutsu Arts, and Doshisha. It has been airing on public TV stations across the U.S. Admission to the UCLA screening is free, but reservations must be made in advance due to limited seating in the theater. To reserve, visit ethnomusic.ucla.edu and click the “Hidden Legacy” link in the right column, email [email protected], or phone (310) 825-8381. Parking is available for $12 (all day) at UCLA Lot 2, corner of Hilgard and Westholme. Short-term parking is also available. For more information about the film, email [email protected], call (510) 482-1640 or visit the film’s website at www.jcalegacy.com/ or Facebook page. Sponsored in part by a National Park Service Japanese American Confinement Sites grant.